According to the World Health Organisation, the global rise of skin cancers over past decades is related to an increasingly popular outdoor recreational lifestyle and the depletion of the ozone layer, which provides a protective filter against UV radiation. The good news is that experts believe four out of five cases of skin cancer could be prevented, as UV damage is mostly avoidable.  Whilst small amounts of UV are beneficial and necessary for the production of vitamin D, most of us are now aware that excessive or unsafe sun exposure can cause skin damage, premature aging of the skin and skin cancer as well as eye damage and that we need to protect ourselves by wearing adequate and effective clothing, headwear, sunglasses and sunscreens. However there are some common misconceptions regarding the risks and results of UV radiation exposure. A sun tan is healthy. There is no such thing as a ‘healthy’ tan. A tan is the body’s defense against further damage from UV radiation. There is no need to ‘cover up’ on a cloudy day. Up to 80% of solar UV radiation can penetrate light cloud cover. You can’t get sun burnt whilst in the water. Water offers only minimal protection from UV rays, and reflected UV radiation from the surface of the water can significantly increase your exposure. The sun doesn’t feel hot so I will not get sun burnt. UV radiation cannot be felt on the skin, the heat from the sun is produced by infrared rays, and therefore skin damage can occur without us being aware it is happening. Windburn can cause skin to burn. On a windy day you are probably feeling cooler and not so likely to consider protecting your skin from UV; what is often described as windburn is actually sunburn. You will not burn if sitting in the shade of a tree or beach umbrella. You may not be adequately protected; reflection and atmospheric scattering of UV mean if you can see a lot of open sky you still need to cover up. Outdoor workers are 70% more likely to develop squamous cell carcinoma (skin cancer) than their colleagues who work indoors. UV levels vary through the day. The higher the sun is in the sky the more intense the UV radiation; remember “short shadow – high UV”. If possible spend your time outdoors before 10am or after 4pm. Sunscreen needs to be applied at least 20 minutes before sun exposure to allow the active ingredients time to adhere to the skin and form an effective barrier to UVR. It also needs to be re-applied often, especially after working, swimming or exercising. Many surfaces reflect a high amount of UV; wearing a normal hat whilst kayaking, for example, will not stop the damage caused by UV reflecting off the water. In Australia over 434,000 people are treated for one or more non-melanoma skin cancers each year, with 543 people dying in 2011. Skin cancer is now the most common cancer in the UK. 2,148 people died from skin cancer in the UK in 2012. Australians are particularly at risk due to our geographical location, large number of clear sky days, depletion of the ozone layer over the Antarctic, our outdoor lifestyle and a mostly fair skinned population. It is little wonder therefore that UVeto Australia leads the way in providing top quality UV protective products that are practical, stylish and comfortable to wear. Whether for work or leisure, anyone who spends time in the ‘Great Outdoors’ will benefit from taking a further look at our unique range.